OTTAWA - An important piece of Canada's constitutional puzzle is being ignored by federal and provincial governments as they argue over the correct amending procedure needed to reform or abolish the disgraced Senate. Conspicuously missing from the hundreds of pages of legal arguments submitted by governments to the Supreme Court of Canada is any mention of Bill C-110 — a 1996 law that made the already daunting rules for changing the Constitution even more challenging. The Harper government's refusal to discuss the law has triggered speculation that it may be prepared to repeal it or find a way to bypass it — potentially explosive moves that would strip Quebec, among other regions, of its power to veto constitutional changes. On the other hand, the failure of Quebec and other provinces to acknowledge the law's existence suggests they might not even notice if it was struck from the books. British Columbia, which was granted an extension until this Friday for filing its Senate reform submission to the top court, may yet raise the 1996 law. But so far, the only intervener to mention it is Serge Joyal, a Liberal senator. The 1996 law — introduced by then-prime minister Jean Chretien in the wake of the nail-bitingly close referendum on Quebec independence the previous year — was intended to mollify that province's long-standing demand for a veto over constitutional changes. The general amending formula prescribed by the Constitution requires the approval of Parliament plus seven, unspecified provinces, representing at least 50 per cent of the population. Chretien's law effectively changed that formula by stipulating that the federal government would not ask Parliament to approve any constitutional change that did not have the consent of five regions: Ontario, Quebec and British Columbia, as well as two Prairie provinces and two Atlantic provinces representing at least 50 per cent of their regions' populations. By failing to mention the regional veto law in its factum to the Supreme Court, the federal government "entirely ignores this legally binding obligation and its commitment to fairer participation in the amending process and the need for each of the regions to be a willing stakeholder of any proposed constitutional change," Joyal says in his submission. The federal government argues that Parliament alone can unilaterally impose term limits on senators and create a process for electing senators, in which case the regional veto law would not apply. However, Ottawa maintains the so-called 7/50 formula would be necessary to abolish the Senate, which would trigger the regional veto law, unless it was repealed or otherwise bypassed. Most provinces maintain the reforms would require 7/50 approval and that abolition would require the unanimous consent of all provinces. A spokeswoman for Pierre Poilievre, the minister responsible for democratic reform, did not respond directly when asked if the federal government is prepared to repeal or circumvent the regional veto law. She maintained it is not relevant to the government's request for advice from the Supreme Court on Senate reform and abolition. "The status of this statute is not part of the reference to the Supreme Court, which instead focuses on the amending procedures in Part V of the Constitution Act, 1982," Gabrielle Renaud-Mattey said in an email. "Any application of the regional veto legislation is hypothetical at this time." 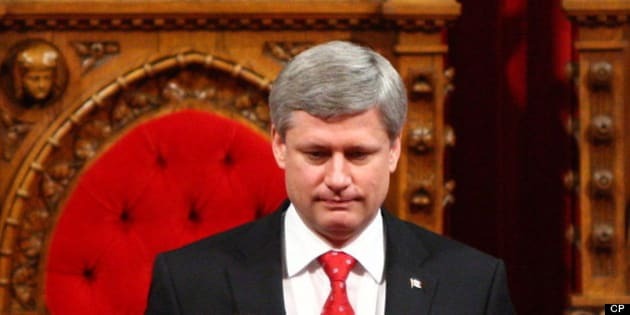 But given that the court is being asked to determine whether the 7/50 formula would apply to abolition or to the reforms proposed by Prime Minister Stephen Harper, Joyal doesn't see how it can avoid considering the impact of the regional veto bill. "The court cannot ignore it, in my opinion," he said in an interview. "The federal government, so far, is bound by that act and, in my opinion, it's the law of the land." Applying the 7/50 formula alone could lead to an "awkward situation," Joyal said, in which the Senate could be radically changed or abolished without the consent of Quebec, New Brunswick and Nova Scotia — the very three founding provinces that insisted on a regionally equal upper house to counter-balance representation by population in the House of Commons. Liberal intergovernmental affairs critic Stephane Dion said the federal government's silence on the regional veto bill is consistent with its repeated refusal to tell him whether it intends to abide by the law. "That suggests to me that they may consider to ignore it or go around it," said Dion, who was Chretien's intergovernmental affairs minister. "They may repeal it or they may ask one of their MPs to come with a private member's bill." The veto law specifies that no minister of the Crown can propose parliamentary approval of a constitutional change that doesn't have the approval of the five regions. However, if a backbench MP were to propose a constitutional amendment, Dion said the government might try to argue that the law doesn't apply in that case. "At the end of the day, that means it's only a device to ignore the veto given to the regions of the country, including Quebec, so the political flak to do that would be quite huge," he predicted, adding that it would "give ammunition to the separatist party" in Quebec. Dion said Liberals, who enacted the law, would denounce any attempt to repeal it or circumvent it "as a breach of trust between the federal government and the provinces, which may damage our federation." Neither Joyal nor Dion would criticize the provinces for not raising the regional veto law in their submissions to the court. They suggested one or more provinces may plan to raise the issue during oral submissions or they may be waiting to see whether the law would be triggered, depending on which amending formulas the court believes should apply to reform or abolition of the Senate.